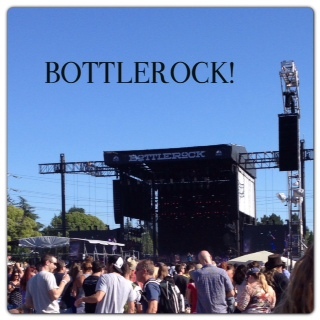 This weekend, I got to attend a music festival called Bottlerock in Napa, CA. It was a four day concert series full of incredible bands. It was of course beautiful weather the entire weekend, and the bands were awesome! I really only got to see two days- that little thing called "work" kind of got in the way! While I was there listening to the music and not really being able to talk to my friends unless I was yelling, I started looking around. What I saw kind of surprised me. There were lots of little kids. Then, I noticed that a majority of parents had their little ones ears covered with headphones! I thought, WAY TO GO PARENTS!!!! It was so loud there, and the exposure was literally hours upon hours of very loud noise. You could hear music from the main stage probably about 1/2 mile to a mile away. I wish I would have thought to use my decibel app on my phone to see what the reading was! 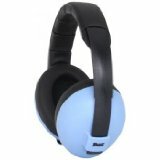 Here are examples of the headphones that I saw kids wearing. Both sets report noise reduction of 22 decibels. These are available on Amazon.com. I must say, all of the kids looked adorable in their little headphones. I mentioned that I saw the majority of kids with headphones on. They were playing and dancing, and having a great time. I also saw several little ones without hearing protection. Many of those kiddos were not so enthusiastic about being there. Many of them were crying. I'm not sure if they were just bored, or if possibly, their ears hurt. This all got me thinking about hearing protection. How much is too much noise? How can we better protect our own hearing as well as our children's? I found a great website called "It's a Noisy Planet". This website is put together by the National Institute on Deafness and Other Communication Disorders (NIDCD). 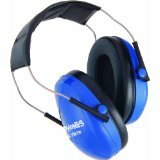 This website is full of amazing tips for parents on protecting and educating about hearing, noise, and hearing loss. regular exposure of greater than one minute at or above 110 dB risks permanent hearing loss. You develop a buzzing or ringing sound in your ears, even if it is only temporary. You don't hear as well as you normall do until several hours after your exposure to the noise. Now, you may ask, "Did you have headphones on at this concert?" Unfortunately, the answer is, "no". I did not have any headphones or earplugs with me. I did, however, try to remove myself from the loud music at times by going to other areas of the venue, and sitting pretty far back from the speakers. Looking back, I know I should have brought something with me, and practiced what I preach. I know now, that next time, I will try to set a better example and take proactive steps to protect my own hearing! What do you do to protect your, or your children's hearing?